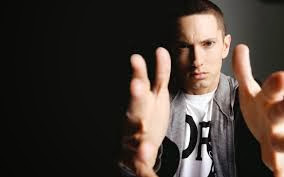 Eminem feat Rihanna- "The Monster"
Eminem released another track of his up coming "Marshal Mathers LP 2", and this track featuring Rihanna. Her seductive voice draws you in right before Eminem comes in with his in your face rhythm and vocals. Another great joint off the LP, available November 5th. Purchase the track on iTunes. Codes and Flinch - "The Skeleton Bounce"
Rock Legend, Lou Reed, Dead at 71. The Floozies - "Ice Cold"
Dillon Francis and Flux Pavilion - "I'm The One"
Figure drops new EP, "Monsters Volume 4"
KOAN Sound & Asa - "Starlite"
Icarus - "Steal The Sun EP" - Out Today on OWSLA!